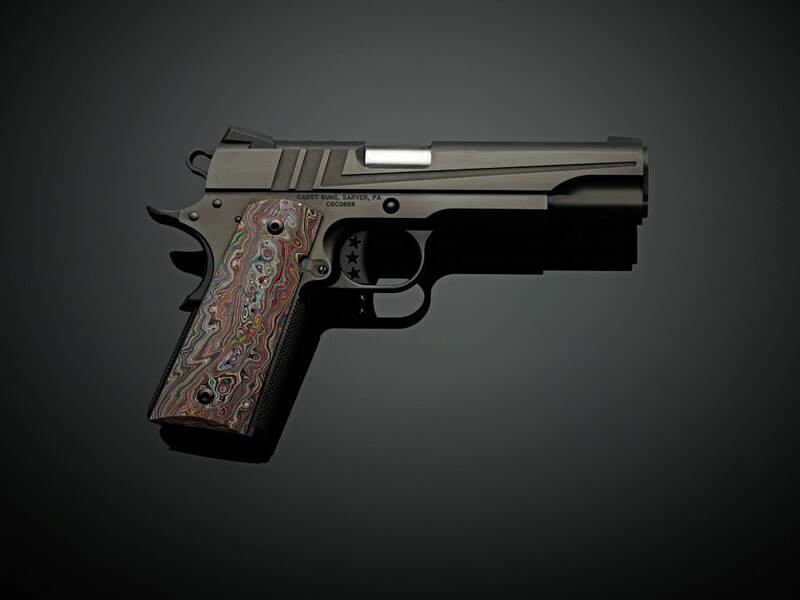 Gran Torino, a marriage of two iconic classics: the American muscle car, and the iconic 1911-style pistol, with Detroit agate grips from the "Fordite" mines. It was a time in America when Detroit was the center of the automotive manufacture world and design was uniquely ours, uniquely American. 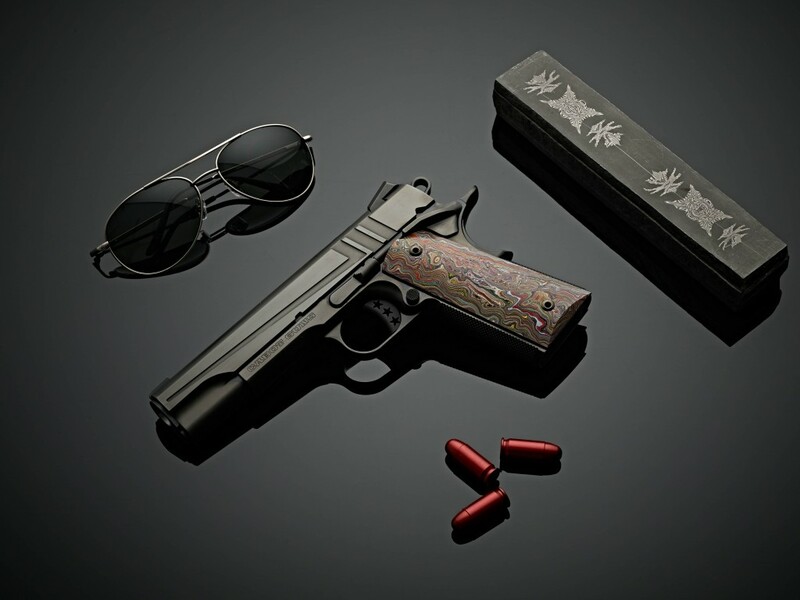 Cabot’s Gran Torino pistol is an homage to individualism and style. Inspired by the American muscle car era. The Gran Torino was inspired by design cues made famous with white “vector” style racing stripes from the 1970’s and immortalized in the popular series of the day “Starsky and Hutch,” which features a 1976 racing-stripe enhanced Gran Torino. It was also a time of transformation, It was the beginning of the end of for Detroit automotive manufacturing and in many ways, American arrived at an inflection point in politics and technology as well. The surprise election of Jimmy Carter as President over incumbent Gerald Ford and the founding of Apple computer and Microsoft were harbingers of change. NASA’s Viking 1 landed on Mars. The gold standard was abandoned leaving our currency afloat with nothing to back it up but the declaration of the government that it was “legal tender.” The age of what was solid was replaced by the virtual, a convergence between past and future. Things would soon change for America but the racing-striped muscles cars of the day remain a timeless classic of distinctive American style. 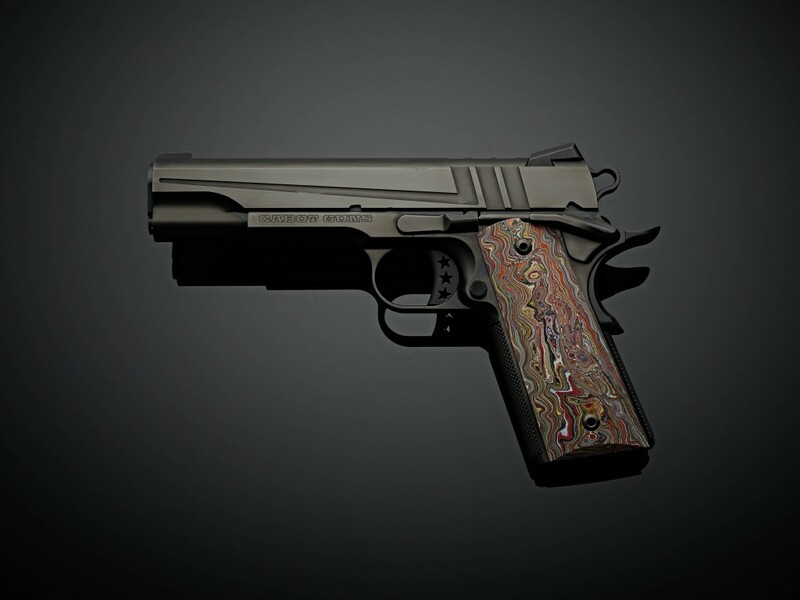 The multi-layered grips of Gran Torino, crafted by sculptor-turned-grip- maker, Brian Challis, are made from Fordite, a unique automotive material with an interesting history. Prior to the automated paint process, vehicles were spray painted by hand. The paint over-spray in the bays gradually built up and over time creating many colorful layers. These paint over-spray layers were hardened in the repeated baking and curing as vehicles were completed often forming several hundred layers. As factories closed the spray oven areas were salvaged by a few good men who noticed the wonderfully layered paint literally containing the history of the automotive sector which has become known as Detroit Agate. We have procured a small amount of Fordite to produce few more additional pistols. 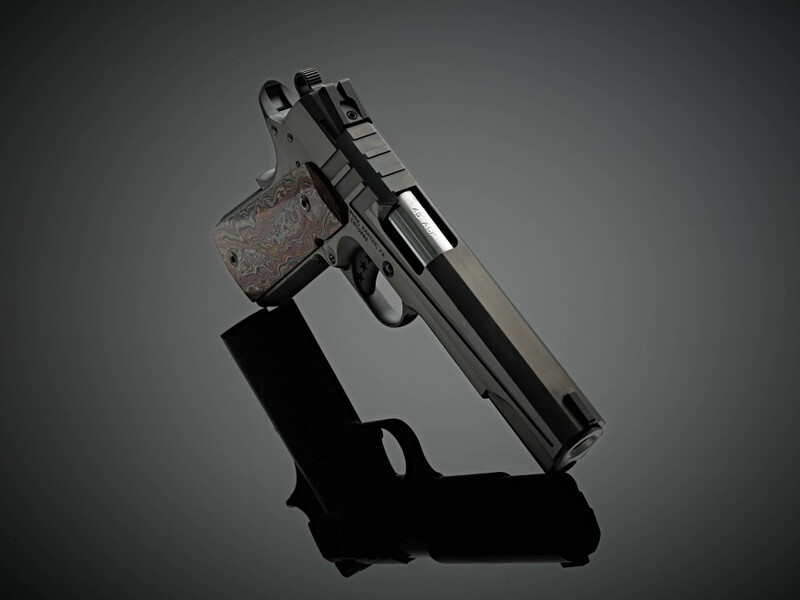 Contact Cabot Guns to reserve this unique piece of American history today. Like the Gran Torino pistol? Check our new offering the Gran Torino SS.